The festival blasts off at Emory this year with a talk by NASA astronaut Mark Kelly. Tickets are going fast in the countdown to the event, set for 7 pm on Tuesday, March 14 at Glenn Memorial United Methodist Church. 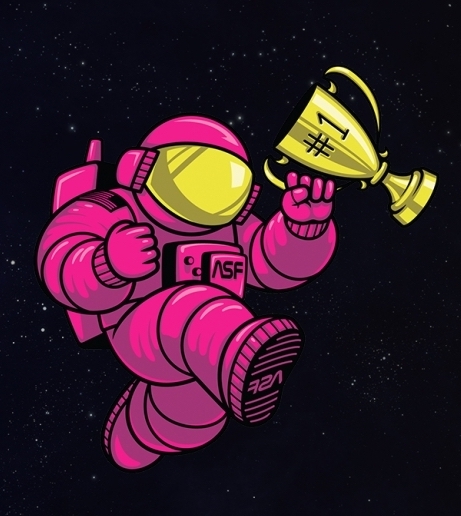 The public is invited to enter a contest to name the festival's new astronaut mascot. Entries are due by Friday, March 10 at 5 pm, and the winner will receive four VIP tickets to Kelly's talk. Following are highlights of other festival events set at Emory. “STEM Gems: Giving Girls Role Models in STEM Careers,” brings together women leaders from business, academia, NASA and more for a panel discussion on Thursday, March 16. They will offer advice aimed at girls ages 10 and up, who are interested in careers involving science, technology engineering or math. The “Zombie Outbreak Game” returns to campus this year, on Sunday, March 19, giving participants ages 12 and up a chance to investigate a mock zombie disease outbreak, using real-world tools employed by scientists at Emory and the Centers for Disease Control and Prevention. Actors from Out of Hand Theater will play the patients as participants don masks and gowns and follow a trail of clues through streams, woods and labs across campus. A dance performance, “Creating a New Normal: Race, Identity, Health and Activism,” will explore the themes involved in working towards an AIDS free generation, on the afternoon of Monday, March 20. The performance will be followed by a conversation with scientists and public health researchers — hosted by the Emory Center for Ethics — on the past, present and future of viral diseases. “Investigating Our Human Past,” the evening of Monday, March 20, will allow visitors to examine the Emory Anthropology Department’s cast collection of fossilized skulls of our ancestors. Scientists will be on hand to discuss recent advances in our understanding of how the human brain evolved. The Mathematics and Computer Science Department will present “Unveiling the Internet,” geared for teens, on the evening of Thursday, March 23. Participants will meet in a computer lab to tinker with code and learn concepts like how Snapchat snaps move through space. The ever-popular “Physics Live!” returns to the Emory Math and Science Center on Friday, March 24. 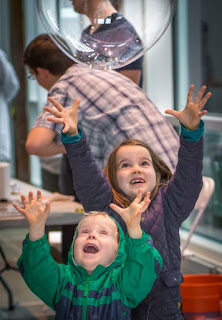 Children will be entertained with giant soap bubbles, a hovercraft and liquid nitrogen ice cream, among other activities. This year, the physics fun will be joined by a “Chemistry Carnival” at the Atwood Science Center. Chemists will turn into midway barkers, awarding prizes to visitors who play games like Peptide Jenga and Bacterial Telepathy, based on ongoing research in Emory labs. The Oxford Campus will host a “Critter Crawl” through Oxford Forest on Sunday, March 19, to learn about wildlife native to Georgia. And on Sunday, March 21, an event called “It’s About Time” will bring guests and local researchers together to share scientific and social concepts of time. “Science and Spirituality” will explore the intersections of physics and faith, biology and belief. The panel of local scientists and theologians will include Arri Eisen, a biologist from Emory’s Center for Ethics. On Thursday, March 16 at First Christian Church of Decatur. “The Science Behind Tremors, the Movie,” features Emory paleontologist Tony Martin who will provide a lively discussion about real animals that inspired giant fictional worms. On Sunday, March 19 at Fernbank Science Center. A live show and podcast called “You’re the Expert” will bring together a panel of comedians and podcast host Chuck Bryant, who will good-naturedly grill Emory chemist Cora McBeth about her work. On Tuesday, March 21 at 7 Stages Theatre. 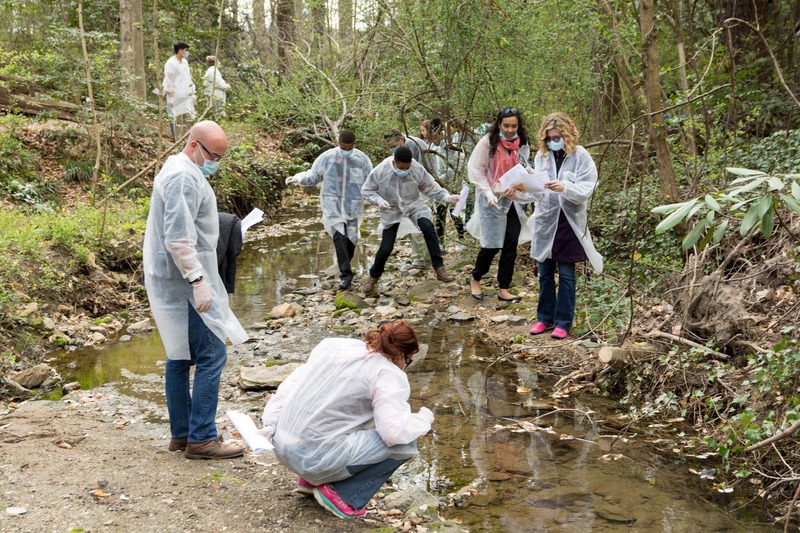 The Exploration Expo, the culminating event of the festival, will include scientists from Emory biology, chemistry, environmental sciences, the Emory Herbarium and the Emory Center for the Study of Human Health. They will be among the hosts of 100 booths offering science-themed activities for families during the culminating event of the festival, set for Centennial Park on Saturday, March 25.